Label machine UK – such machines are a must for a wide variety of businesses across the UK. If you sell products that come in bottles, tubes, packages or boxes, then they require labels, and you need a cost and time effective way to achieve that labelling. Many companies choose to outsource this element of their business; their labels are created and applied by an outside company and then returned for distribution. Others use external labelling machines to create their labels, and then apply the labels inhouse. Both options work, but can be time consuming and increase the risk of errors in the process. So is there are better way? The simple answer is yes, there is a better way, and that is investing in your own label machine UK sourced. This allows you to meet all your labelling needs inhouse and to streamline your production and distribution processes. While buying a labelling machine does involve an upfront investment, it is an investment that will provide good returns in a short space of time. One of the many benefits of owning your own labelling machine is a reduction in ongoing costs. You no longer need to pay for an external company to create and produce your labels, or for them to affix them to your products. You also benefit from reduced transport costs, as you no longer need to send your goods out to be labelled before they are ready to go to distribution. There is also less risk of mistakes happening when you keep your labelling inhouse. This is important across all industries, but particularly if you are involved in providing goods and medications for the pharmaceutical industry, for instance. A pharmaceutical labelling machine allows you to create, print and attach labels professionally, and in line with any applicable legislation. Labelling inhouse also means that it is easier to adapt your labelling to meet changing needs. If you change the lines you are producing, or the qualities that require labelling, you can do so instantly, and without needing to consider the potential costs that could be incurred if you were using an external company. However, it is important to carefully consider the type of label applicator machine you buy. There are a wide range of labelling machines available, and not all of them will be suitable for your needs. Given this, it is essential to source a labelling machine for sale from a company that understands your business’ needs. Firstly, you need to consider the size of your business and the space you have available for your machine. If you are a small business with limited space, you might want to consider a desktop printer and labeller. This allows you to reap the benefits without needing to make major changes to your premises to accommodate the new machinery. As well as the space you have available, you also need to consider the number of labels you need to produce and the speed with which they need to be created and attached. If you have a production line, then you need label printing equipment for sale that can become a seamless part of that line, without affecting the speed or quality of production. Similarly, the size of label is also important, as is the type of packaging or receptacle it is being attached to. Bottles and boxes have different requirements in terms of the size and style of the label, and how it is affixed to the product. Other considerations may include how automated you want the system to be; and how advanced your knowledge is of setting up and running such machinery. The right company will not only provide the machine that is right for you, but also offer parts, servicing, consumables and ongoing support. One of the things that often puts companies off purchasing their own labelling machines is cost. 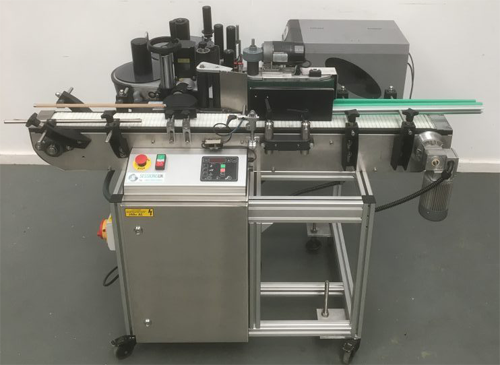 However, if you are on a restricted budget, it is still possible to reap the benefits of having your own labelling machine by purchasing second hand labelling machines. Taking this approach means a smaller initial outlay and less pressure on your budget while you change your working practices. However, it is important to take care when buying second hand or used machinery. You need to ensure that you don’t pay more for repairs and replacements over the long term than you do for the machine itself. To achieve this, you first need to ensure you use a reputable company who understand labellers, how they work, and how to keep them working at optimal efficiency. It is an additional benefit if the company also provides a spares and repairs service for the machine that you have purchased. The company should also provide machines that have been fully serviced before being offered for resale. This ensures that the machine you have is ready to work and will meet your needs. The very best label machine UK based companies that offer second hand labellers for sale also offer warranties, meaning that if you do have problems, the company will organise repairs or replacements as needed. One such company which provides new and fully serviced second-hand machines is Sessions UK. At Sessions UK, we provide a wide range of labelling machines that are suitable for all business sectors. With a label machine UK from us, you can streamline your operation and label everything from flatpack cartons to bottles and pharmaceutical containers. You can see our range of new and used machines by visiting us at https://sessionsuk.com, where you can also place your order over our easy-to-use and secure sales system. To learn more about us and the services we provide, including machines, labels, spares and repairs, connect with us on social media, or give us a call on 01904 610613.